LED Grow Light specifications include the wattage or power draw of the light. The stated wattage is always more than the actual power draw. Why are there even 2 different specs and how does the customer decipher what is really going on? For example, the G8-600 by G8LED is a 600 Watt grow light but the actual power draw is 380 watts. Why the lower power draw? 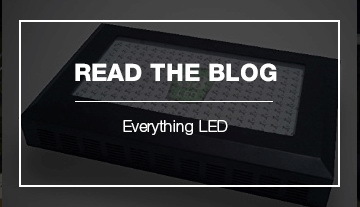 LED plant lights are grouped by the current (Amps) of the diodes within the light. 1-watt diodes generally run at around 0.35 Amps, 2-watt diodes run around 0.5 Amps and 3-watt diodes run around 0.7 Amps. Diodes do not use their maximum current so that the manufacturer can increase the lifespan, reduce the heat output, and supply a better grow light. 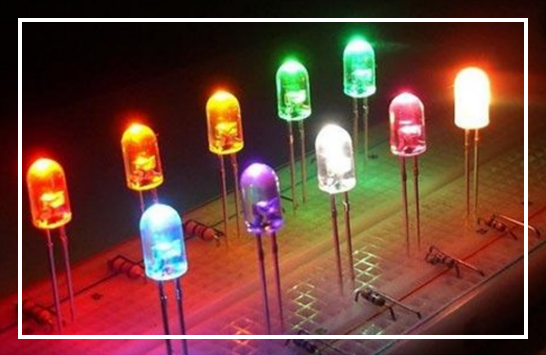 In addition, different color diodes have different wavelengths and require a different supply voltage for the specific wavelength. The red and orange wavelengths require around 1.8-2.7 Volts and the blue and violet wavelengths require 2.7-3.5 Volts. Hence, following our W = V x I equation, a 3-watt red diode may only have a power draw of 1.5-2.0 watts and a blue diode may only have a power draw of 1.8-2.5 watts. This is why a 600 Watt grow light which has two hundred of the 3-watt diodes has an actual power draw of 390 watts. Some companies do not publish the actual power draw of their lights and provide misleading information. 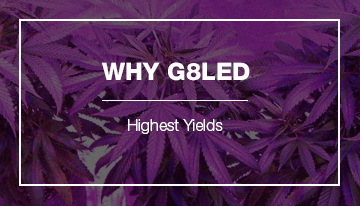 G8LED grow lights have full specifications listed, including the actual power draw. 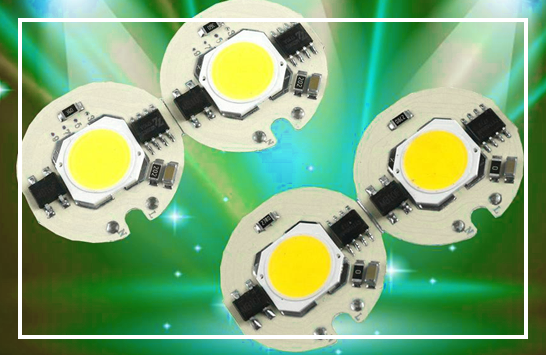 Light emitting diode chips come in several sizes from less than 1 watt to 10 watts and more. The first grow lights were made with LED chips which were less than 1 watt. These grow lights proved to not be very effective in growing anything more than simple grasses and sprouts. Later 1-watt lights such as the 90 watt UFO lights were made which were effective for growing more complex plants. Although these lights produced favorable results, they did not have the ability to penetrate more than 3 feet into a plant’s canopy. G8LED started using higher wattage LED chips to mitigate this problem. The 3-watt chip was chosen because it provided the perfect balance between canopy penetration, heat dissipation, and cost. The 3-watt diode is able to penetrate 5-6 feet deep into plant’s canopy making it the ideal chip size for indoor growing. As chip size increases so does the heat generated by the chip. The result is that the LEDs must be spaced further apart for safety and thus cannot be arranged in dense nodes needed for efficient growth. 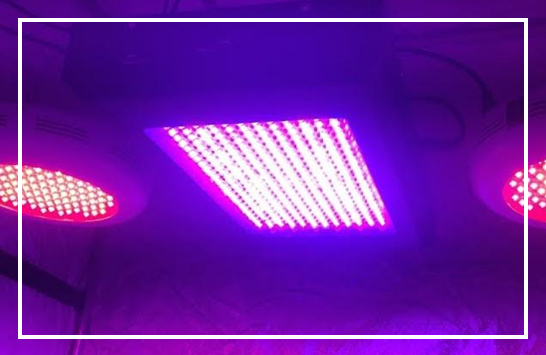 Using larger chip sizes like 5-watt and 10-watt diodes not only decreases density but also requires the indoor grow light to have larger heat sink dimensions and power drivers, resulting in bigger, bulkier and heavier lights which are more expensive to manufacture. 3 watt LED chips are ideal for indoor growing for plants up to 6 feet tall. They provide the perfect balance of penetration, heat dissipation and cost. G8LED grow lights eliminate the need for ballasts, hoods, reflectors and reduce the need for heat venting and air conditioning systems. 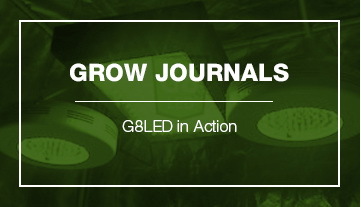 G8LEDs lower operational costs by dramatically decreasing the electricity consumption of your grow room. Protect your lights by avoiding buildup of water condensation. Connecting many high wattage devices to the same outlet can cause voltage fluctuations which can damage power drivers in the lights. Surge protected power strips are a great way to protect your electrical devices against voltage fluctuations. Keep your grow room clean of dirt, dust and smoke as these will accumulate inside the lights over time. Take good care of your G8LED grow lights and they will produce top quality harvest for years to come while saving on operational costs every month.